Here are a few pictures from the trip, more on the way next week. So, the reason I’m here, besides enjoying Pongal, or fighting traffic, is to teach India’s first academic course in art therapy. 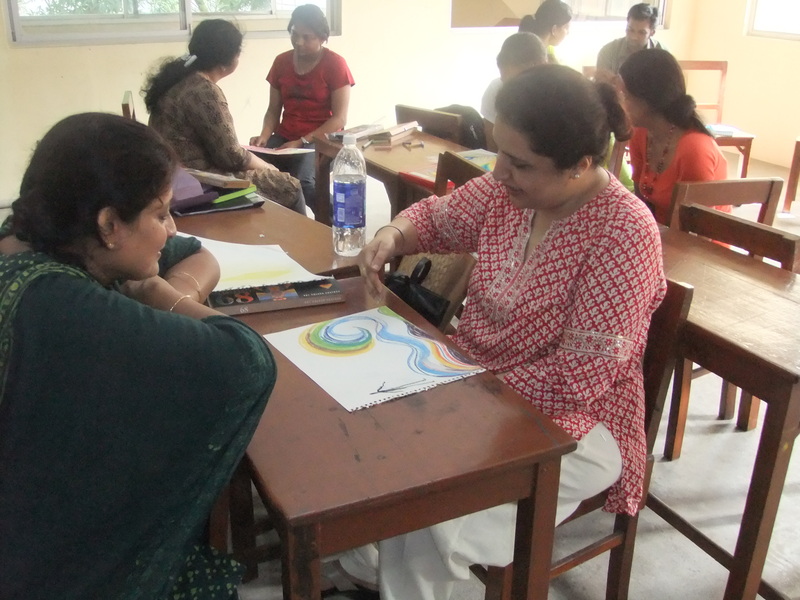 The Survey of Art Therapy was evolved by Sangeeta Prasad, and George Washington University in Washington DC, in collaboration with the Fine Arts Department at Stella Maris College. 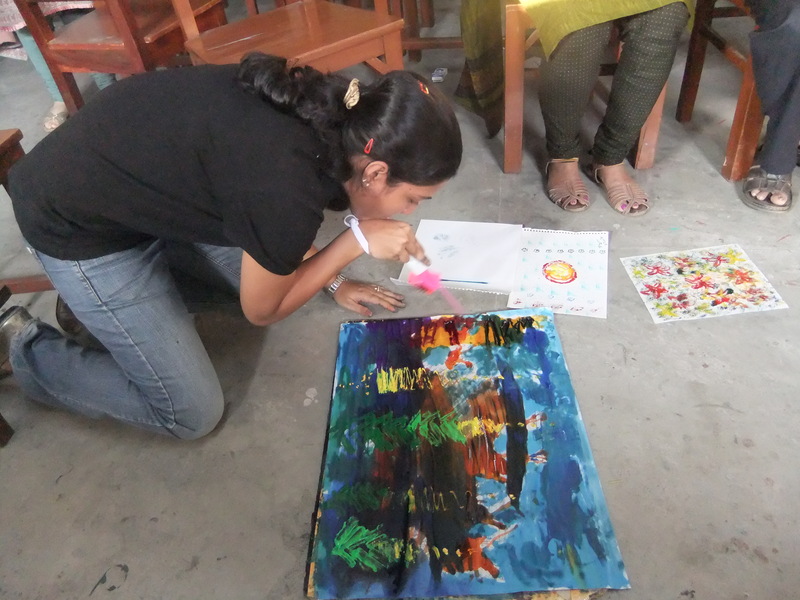 It is funded by the Prasad Family Foundation to help bring concrete art therapy tools to professionals here in Chennai. I created the syllabus based on my previous work, and collaborated with GWU on it’s development. We have 20 students from a variety of backgrounds: artists, housewives, teachers, and therapists. 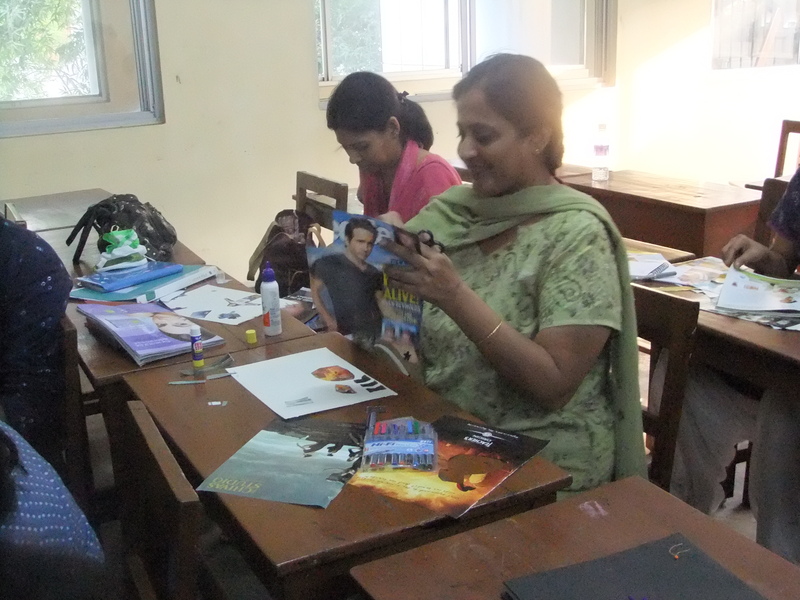 The participants are all interested in art therapy for use with their students or families. The energy has been tremendous. The use of the arts, in general, for healing is really taking off in India. There is a lot of attention being paid to these ideas now. While I have 20 students in my class, I have 30 others signed up for a workshop that introduces people to what the class is about! 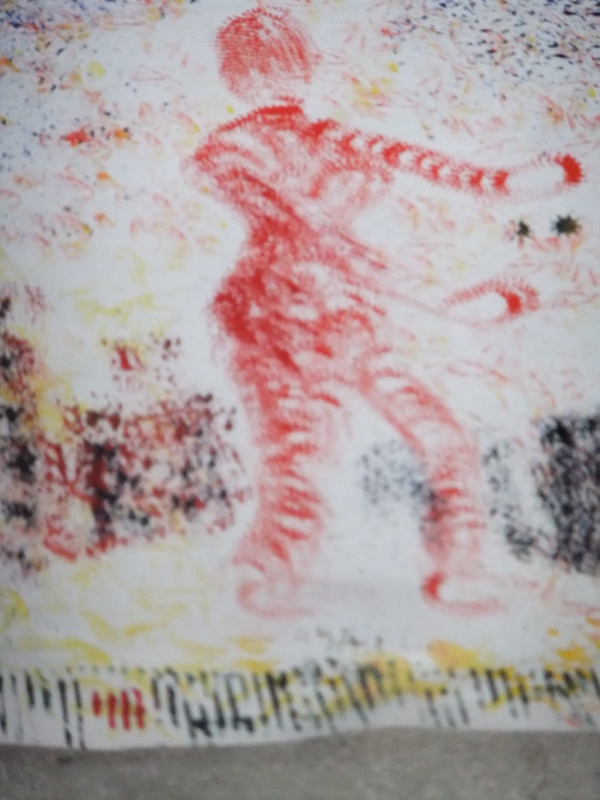 In the last two weeks, We have talked about many subjects, including: how art therapy can be used in different populations: how it has evolved from cave drawings to now; looking at brain development; and using different materials. I am, of course, trying my best to ground the class in good counseling process and ethics. 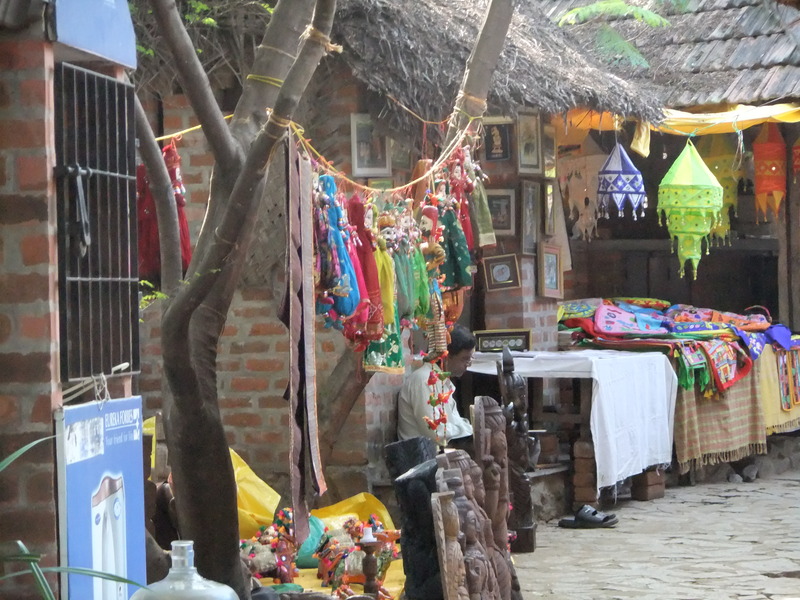 Then, there is the important task of looking at all the learning within the viewpoint of the Indian mindset. Three hours go by in a flash. The course is highly experiential, so there are a lot of teaching games, and activities to help ground the conversations, and the theories being presented. And of course, a lot of art. Because my background includes Sociometry and psychodrama, I have used some of those skills to teach about listening, observation, and counseling skills. The students are engaged and have worked really hard. There is a lot of reading, and writing, questioning and creating involved. Most importantly, we are trying to see how art therapy, which was created from a western perspective, will work effectively within the Indian culture and context. 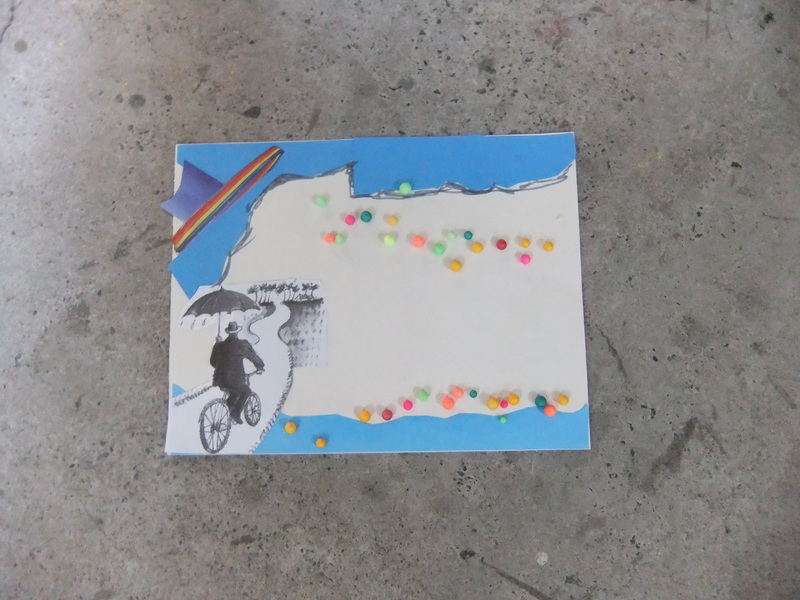 Ultimately, art therapy has to work here, and there are many differences in how therapy is perceived here. This is a major conversation. The other, of course, is what students will do, and have the ability to do, after one 30 day course. Since completing one course is not the same as finishing a 2 year graduate program, this is a conversation that will take place in an ongoing way as GW and Stella Maris evolve the next steps for the program. But for ethical reasons, we do need to look at this now, as the last thing anyone wants is for people to go beyond what they really are capable of. This course is a wonderful beginning and, clearly, there is a desire for a full program. The question is when and how. I am grateful to be a part of this pilot program, and to be connected with the journey of bringing these therapeutic tools to India. Nothing happens in isolation, and I have met many wonderful people along the way. I am a student as well. I have the opportunity to be in India at festival time. That is not hard. Indian people celebrate a lot – festivals are especially important in Hindu traditions. This time the celebration is Pongal. 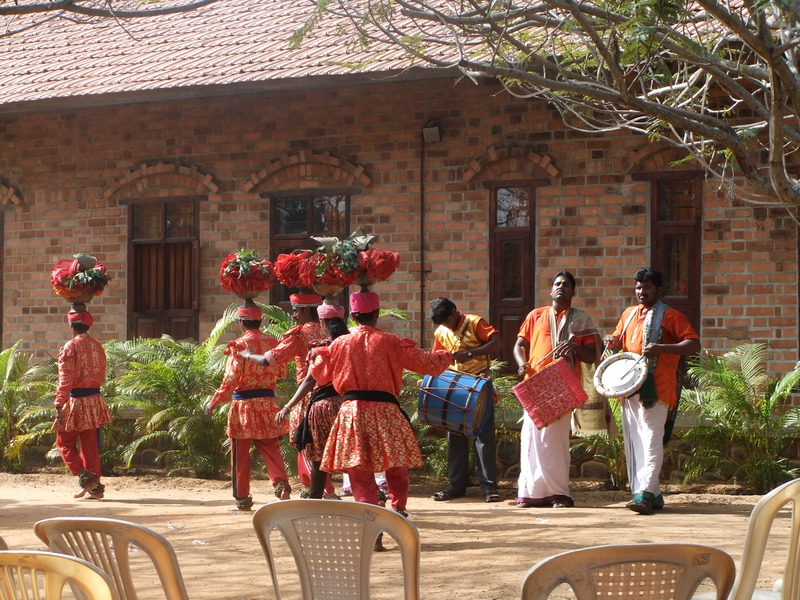 Pongal is the Tamil Nadu celebration of the harvest. Think harvest festivals and Thanksgiving rolled into one. 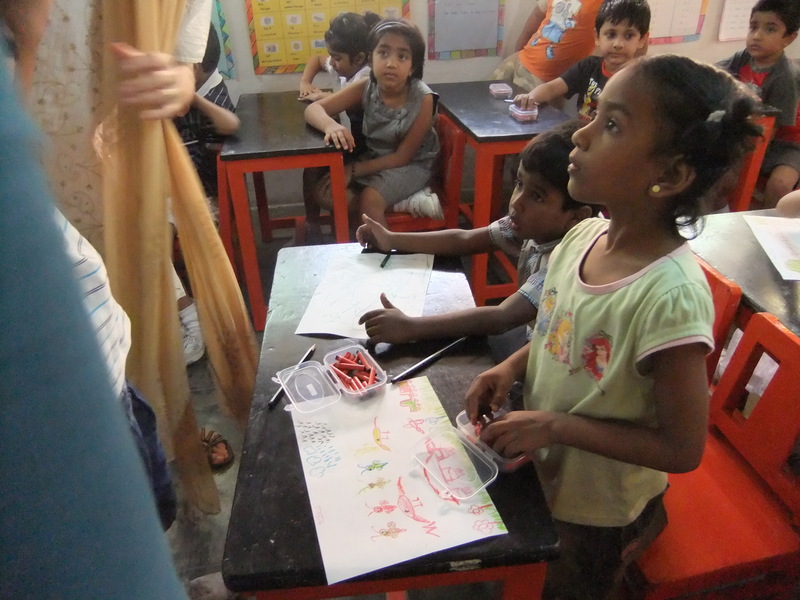 People in my class have been preparing for Pongal all week: practicing dances, cooking food, and going shopping for a new Sari to wear. It is a time to dress things up, dress up ourselves, and eat the bountiful harvest. The Hindu celebrate pretty much everything. When I was in Bangalore in October, the Puja (another word for festival) was 9 days in which all things created were celebrated. One day was the celebration of machines. 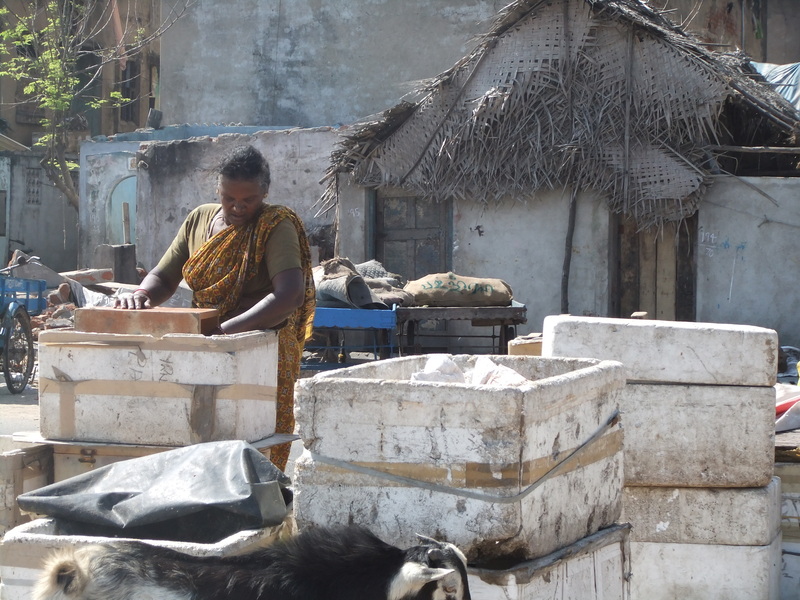 During Pongal, people make offerings to the Gods and pray for rain, in their often dry riverbeds. 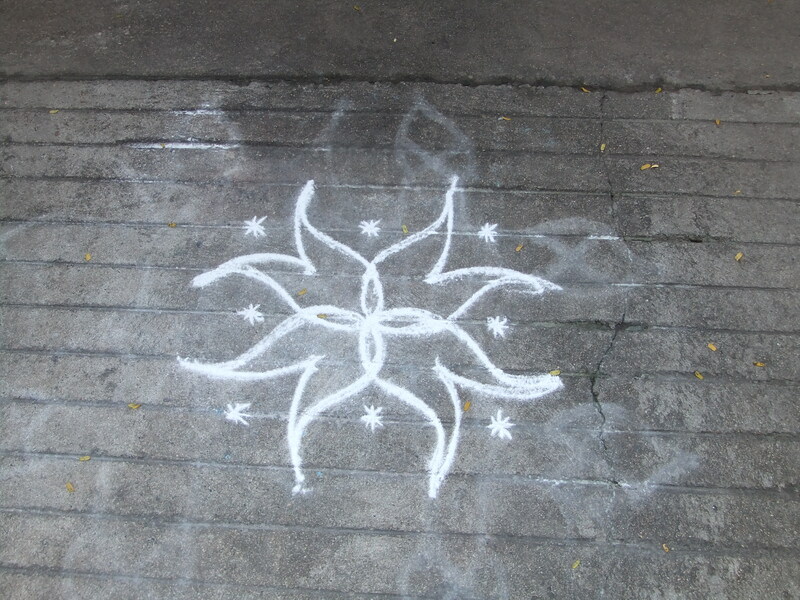 Pongal (which literally means “Boiling Over”) is a 3 day, Tamil Nadu based, celebration that officially began Friday. 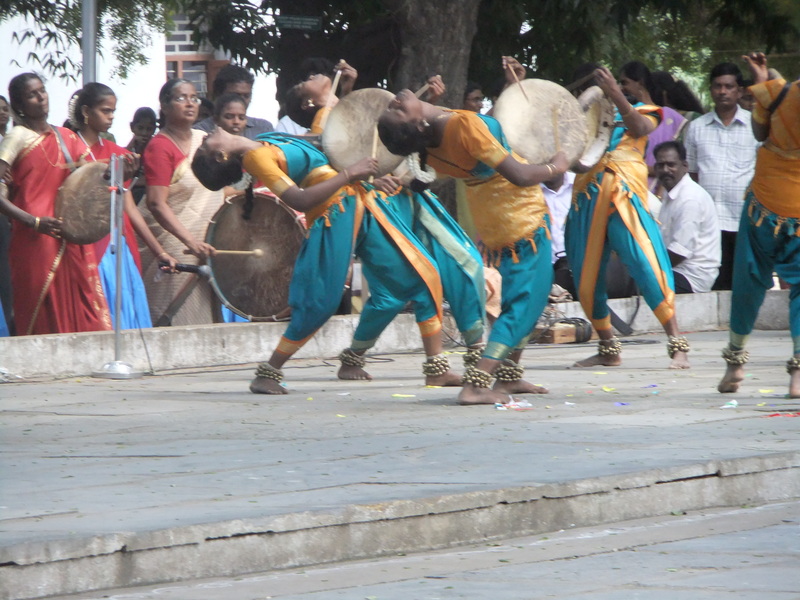 While at school, on Friday, dancers from around Tamil Nadu came and performed. There is dancing and storytelling all around the city this weekend. I am hoping to get to a park today. Pongal is wonderful; it’s colorful and it tastes good. A common activity is the making of Pongal, a sweet sticky rice dish. Today, Sunday, the remains of the feast are given to the cows and Oxen that work so hard. They are dressed and paraded about in celebration of their hard work, and given special foods. And tomorrow, there is more dancing and people gather on the riverbanks with yet another sumptuous meal to eat. I waddled home, full in more ways than one. Happy Joyous Pongal to you all. 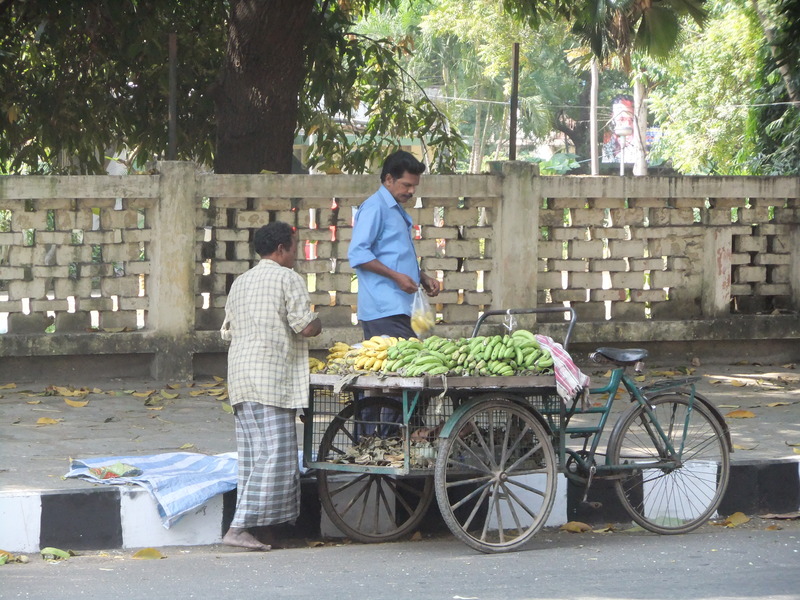 For the last two weeks, I have been negotiating the (very) busy streets of Chennai, primarily on my own. 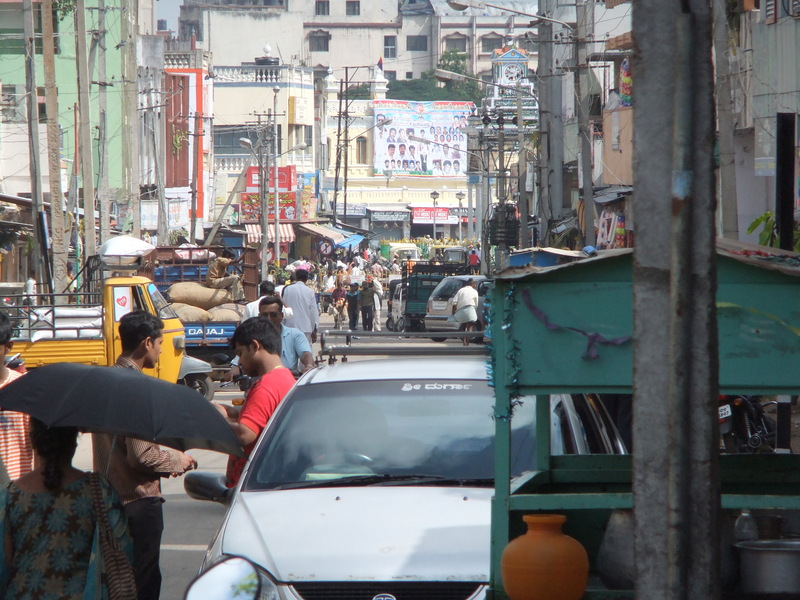 Chennai is a huge city of winding and cluttered roadways that often have no street signs or proper signals. Traffic is almost always congested and drivers often drive on the wrong side, or down a street the one wrong way to get to another corner. 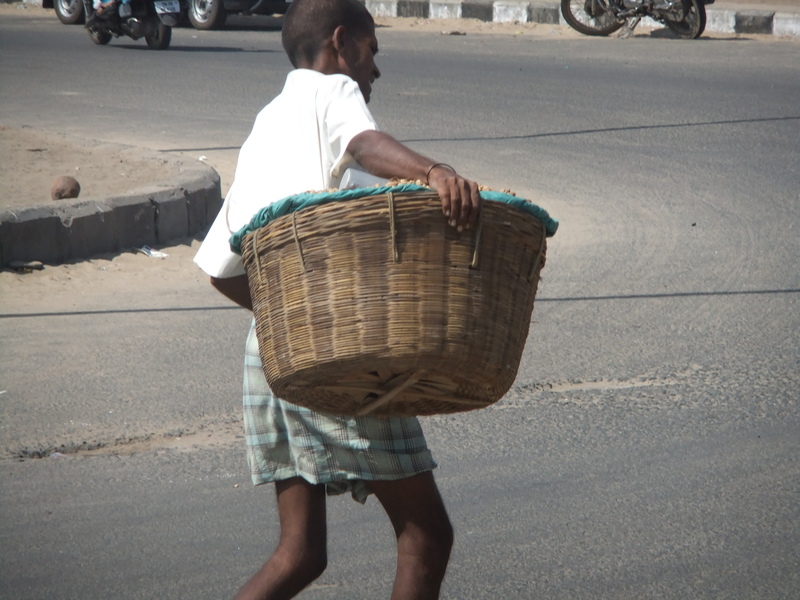 Crossing the street – well, I have learned that one is either going to make it or not, and as a general rule, the drivers miss you even if its by inches. One has to be alert and aware to walk or drive here. 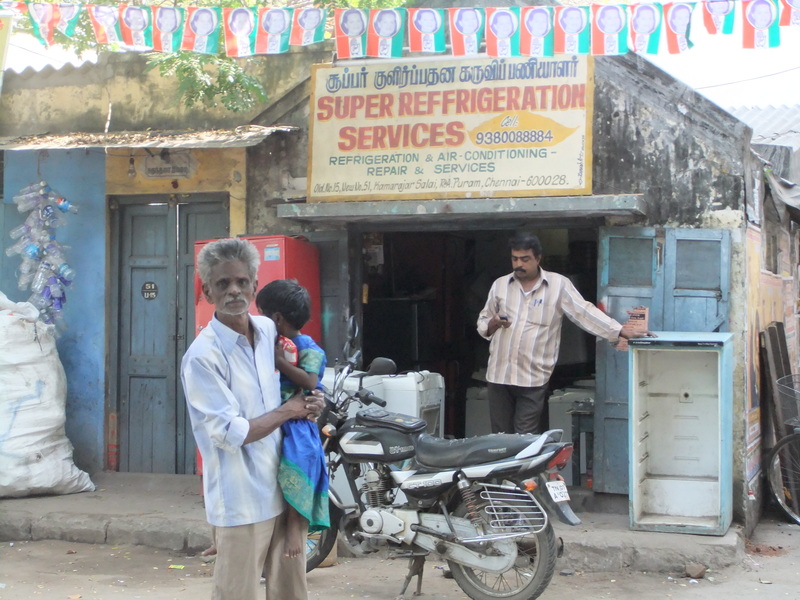 I am staying in the Ministers area (Raja Annamalai Purnam) where the Ministers (India has a Parliamentary system of government, thus Ministers) work and live, and it is a distance to get to …anywhere. 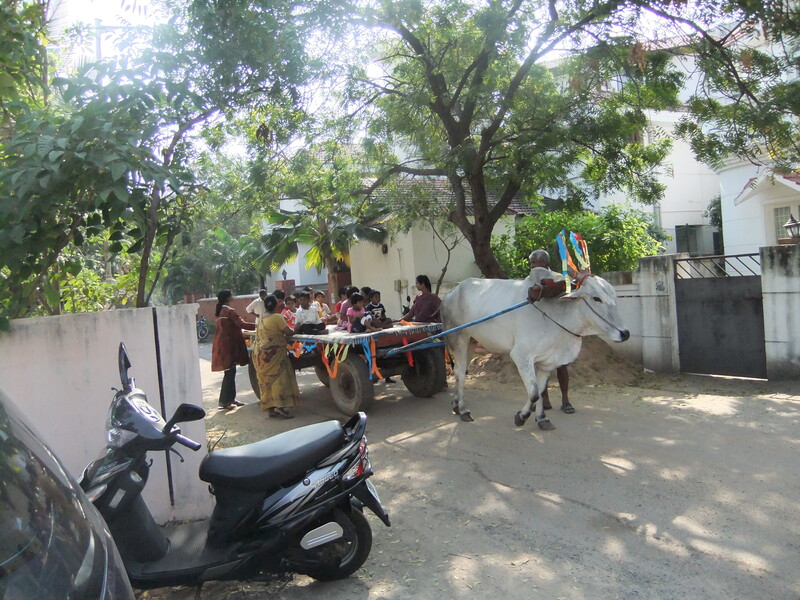 I walk as much as I can, and take auto rickshaws to most of my appointments and classes. 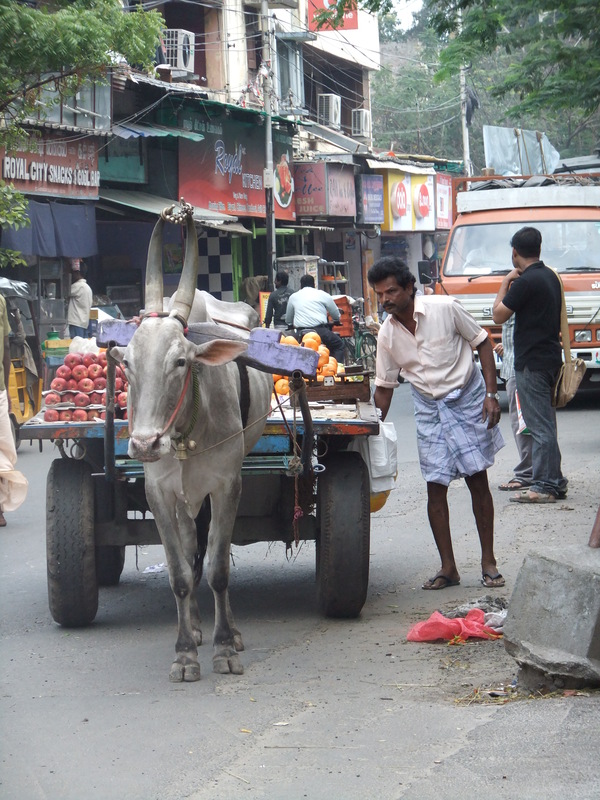 Given Chennai has an erratic road system, with a variety of species(Oxen, Goats, chickens and dogs are the most common) that walk or run on it, at best, it has taken me most of the 2 weeks I’ve been here to develop any kind of internal map of the city, not helped in the least by the Rickshaw drivers who often do not know where they are going either. While I bought a map and I find it helpful, showing it to a driver or pointing out landmarks is often fairly useless, as most rickshaw drivers cannot read maps. So I have been trying to find the best ways to say the district I am in by using the shortened common name. 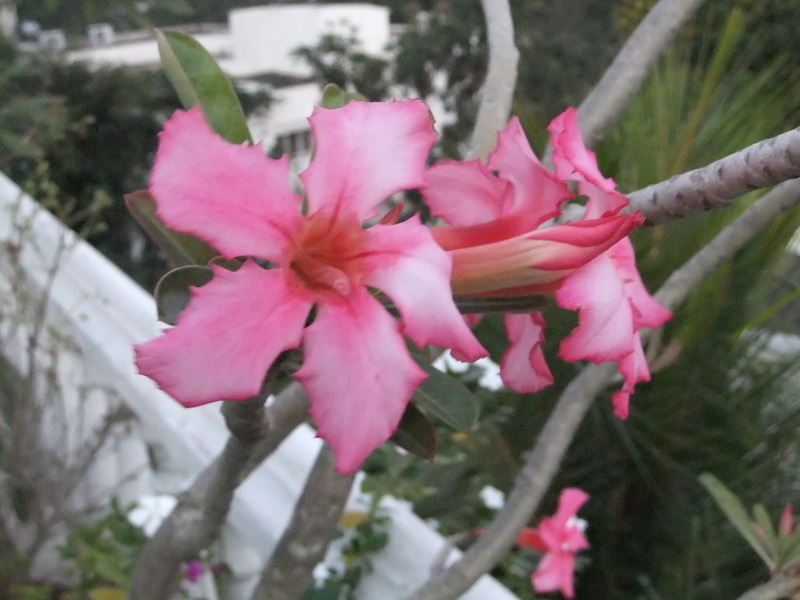 (Raja Annamali Purnam is too long… So everyone says, “RA Purnam”.) People know my street, not by the name, but by the fact that the Ministers live on it. So, I say, “I live on the ministers road.” That took a few days to figure out. I find that I often need to take a deep breath and keep going. traffic is congested in all parts of the country. I get excited when I meet a driver who quotes me the price I expect to pay- or even better- KNOWS WHERE HE IS GOING! I feel like Ive scored when that happens! Whatever the reason, haggling with auto rickshaw drivers is a process that isn’t always how I want to start my day. Or end it. With traffic being what it is,(constant, weaving and cutting off, and smoke and fumes) I find that the need to negotiate a fee a tiring process. But once it is done, I can sit back and smell the diesel. So I am learning, slowly, to get around and to recognize landmarks. I am learning to stand up for myself a little bit more, and to negotiate, even when I’m not sure what to negotiate for… Getting around is certainly a process, but the challenges are not insurmountable. One festival celebrates all machines. 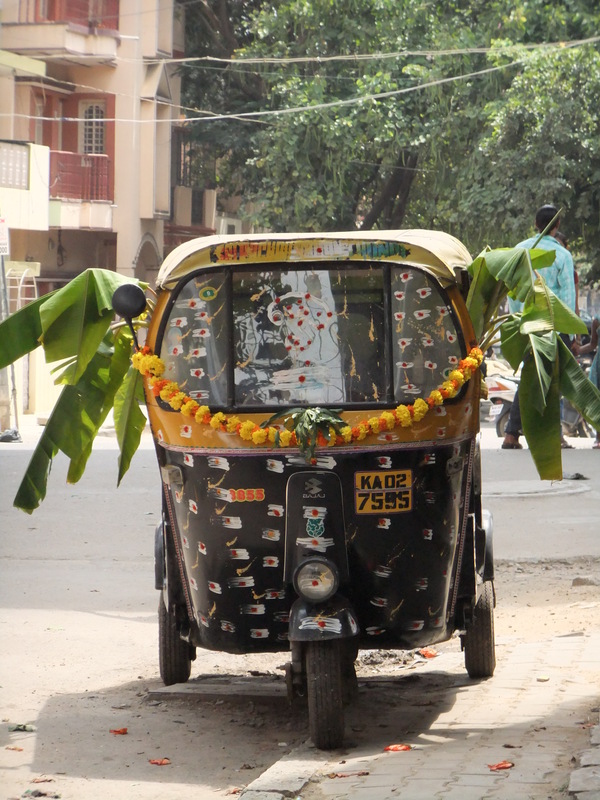 This rickshaw is decked out to honor it's hard work. 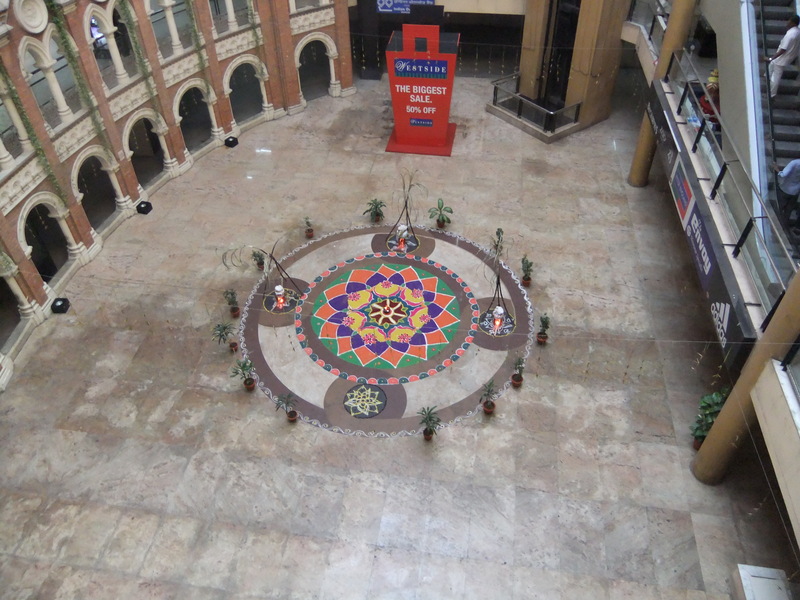 I arrived in Chennai early this morning (3 a.m. early…) and am settling in. I am discovering that things feel familiar to me. It’s the first time I have not been met at the airport, so I hired a taxi to take me to a hotel (one I haven’t been in yet… Very nice). I also discovered that driving at 3 a.m. is a breeze compared to any other time of day. I actually saw the road, and flashing lights along the sides that I have never noticed. Today I have gone shopping, and worked toward buying a phone, but got held up in the need for a real photo, so it will have to wait until tomorrow. Then I had my first auto rickshaw, bargaining, and getting lost experience. 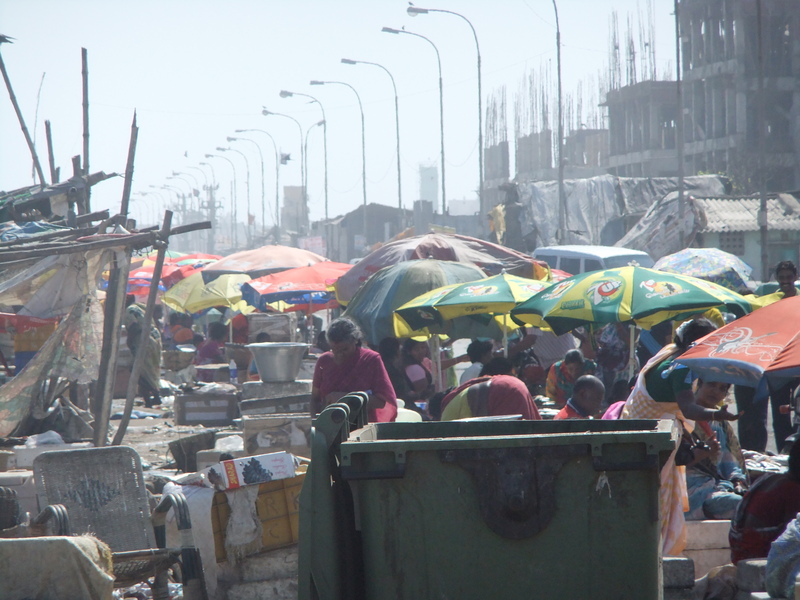 Chennai is big, and often the taxis drivers don’t know where things are. Getting a map is challenging too, although I intend to work on that. I am here for a month. This time I am teaching a 3 credit survey course at Sella Maris College. I am working through George Washington University. 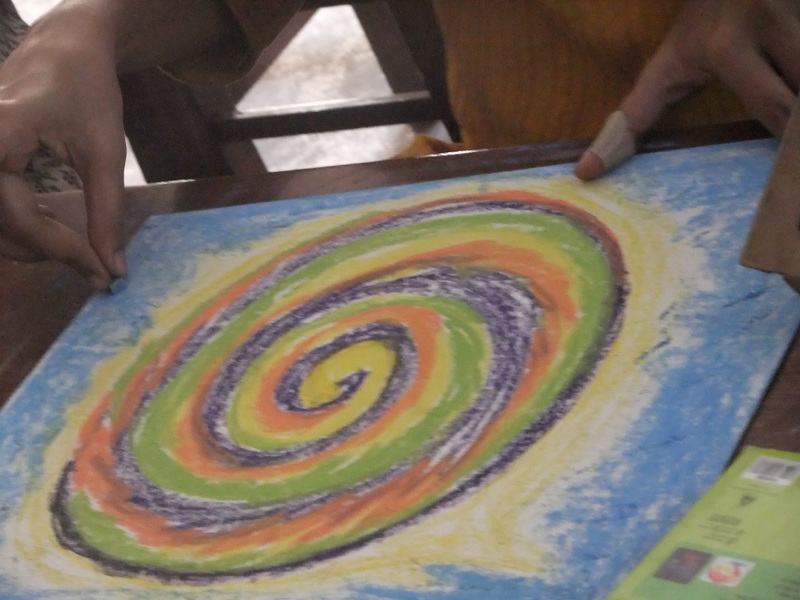 While Magdalene Jerarathanam, of the East-West Counseling Center, in Chennai (centerforcounselling.org), and I are not planning any projects right now, I am hopeful that she will come and offer her expertise in a presentation about her work integrating arts based therapy in her clinical psychotherapy practice. I have a couple of other people who might present as well. One is Michael Watson,who will present from the States via Skype. (Topic to be announced…) You can see his blog at michaelwatsonvt.wordpress.com. I am looking forward to this, and all the complexity of getting around. It is going to be a journey for sure. Stay tuned.